L’Ecole N° 41 owners, Marty and Megan Clubb, established and honor a generous philanthropic philosophy. 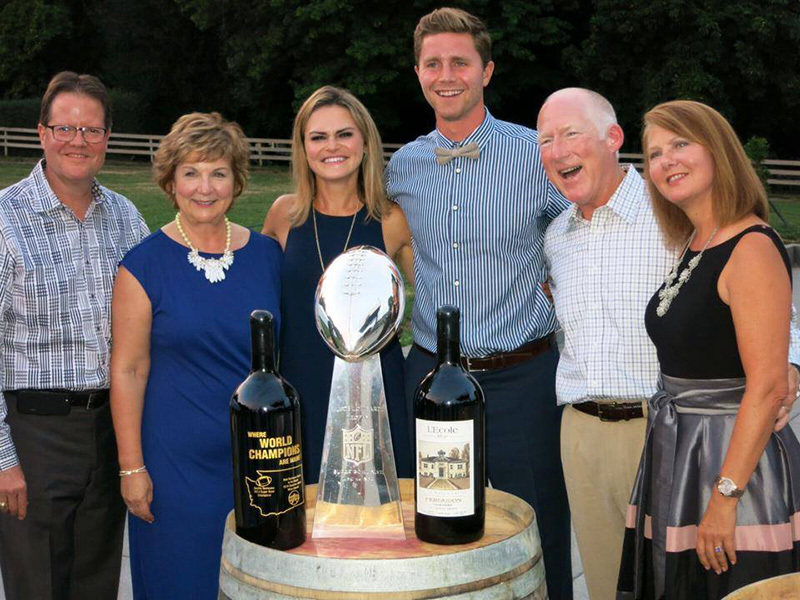 Winery staff enthusiastically participates in selected charity auctions, dinners, and tastings throughout the year. Significant product donations and deep charity discount wine sales complement the winery’s dedication to this tradition. Our donation guidelines primarily direct us to: requests from our local community; well-established charity wine auctions where the wine industry is the focus; and wine-related events and partnerships which have served our commercial and community endeavors for many years. We carefully evaluate and respond to each request, choosing to touch the lives of our neighbors through donations and reaching existing and new constituents by featuring L’Ecole wines at functions throughout the country. Please submit your request at least two months prior to your deadline. If this is not a 501(c)(3), what is the organization’s charitable status? Briefly, how will this event be marketed? Briefly, how will donors be acknowledged? “Where World Champions are Made” auction lot with Marty and Megan Clubb, Steven and Lindsey Hauschka, and Tom and Teddi Pettigrew.